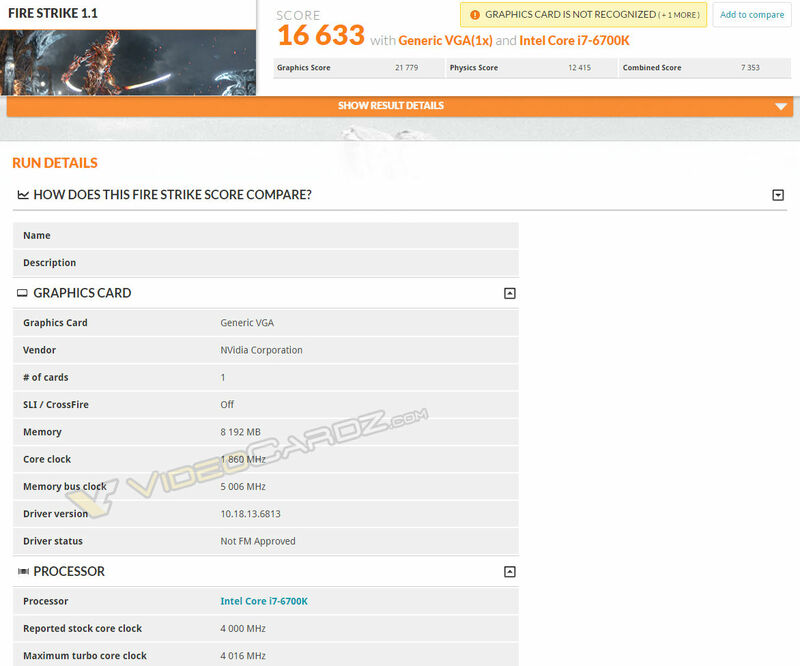 A 3DMark FireStrike benchmark of NVIDIA’s upcoming Turing based GeForce GTX 1170 graphics card has allegedly been leaked and it shows absolutely monstrous performance from the company’s new sweet spot GTX XX70 class GPU. So let’s dig straight into the juicy bits! 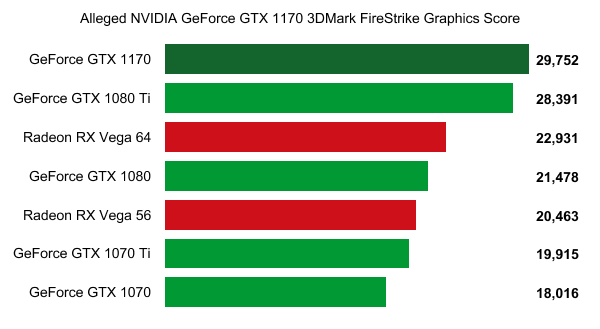 Just over two months ago we published the preliminary specs and expected performance out of NVIDIA’s GTX 1170 based on all the contemporary rumors and leaks at the time and we labeled it a potential GTX 1080 Ti killer. If this recent leak is to be believed then we’re indeed looking at a GTX 1080 Ti killer. The GTX 1170 allegedly features a 256-bit memory interface paired with 16GB of GDDR6 memory and will run at a whopping ~2.5 GHz clock speed which is outrageously higher than anything we’ve seen on Pascal and Volta, making it the highest clocked graphics card we’ve ever seen to date, if this alleged leak is to be believed.